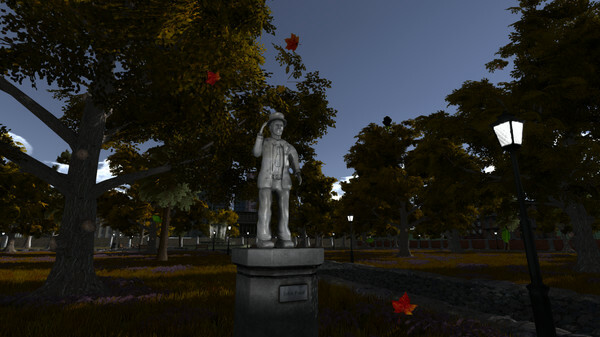 Community Blog by ChrisHannard // [Review] Statues - PC. Don't Blink. [Review] Statues - PC. Don't Blink. If imitation is the sincerest form of flattery then Statues is a veritable love letter to Doctor Who's 'Weeping Angels'. This indie horror borrows heavily from the show's 'Blink' episode, where the protagonists were pursued by the Weeping Angels, creatures that only moved when they weren't being observed. 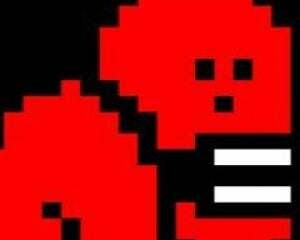 Its premise is that you, as the game's unnamed protagonist, have been involved in a car crash and, regaining consciousness, find yourself in a strangely deserted and poorly lit hospital. I cottoned onto the game's 'twist' almost immediately, particularly since it's not a particularly original one. The game's plot, however, is largely irrelevant since it just provides enough of an excuse for you to roam around several equally poorly lit and deserted locations being pursued by malevolent entities. 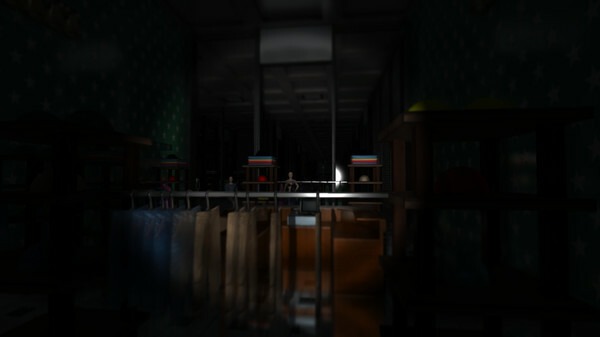 While some of these entities have taken the form of stone statues, others are disguised as shop mannequins or, in the game's hospital level, anatomical dummies. In typical first-person horror game tradition you've been provided with a woefully under powered flashlight, though since it never runs out of batteries, you'll likely end up just leaving it on. As far as I can tell, turning the light off doesn't make the statues any less likely to pursue you. From now on, I'll be kneecapping all statues using a toffee hammer. And pursue you they will – relentlessly. The statues move towards you whenever you're not looking, even if you've only turned away for a second. Their poses also change, just to make them seem even more terrifying. I didn't find Statues' first level particularly frightening, partly because it featured only one foe - subsequent levels feature up to four sculptured stalkers – but also because of the level's relatively closed layout. When I got to the Mall level, however, Statues really started to get to me. Literally. Statues does really come into its own when you're playing one of the game's open levels such as the Mall, the Park or Funfair. The statues can approach you from any direction, making it harder to keep your eyes them. The game had me jumping out of my skin on several occasions, mainly when I found myself cornered by a statue that had sneaked up on me. On top of this, the game has a 'blink' meter which, when depleted, closes your eyes for a second, giving the statue a chance to catch up. You can also blink manually, which can be used to your advantage, to draw a statue closer so you can then run around it. Warning - contains gratuitous head bobbing. The game later gives you a hammer which can be used to smash the statues, each statue taking four of five blows before it crumbles to dust. I thought this would make the game far too easy but if anything it makes it harder, as smashing a statues results in it respawing on the other side of the level. It's up to you to choose whether you try to smash the statues, outrun them, or try and keep them all in view. Whatever approach you adopt, you will die a lot in Statues, though I never felt my character had been unfairly killed – instead, it was down to my lack of vigilance. Until I reached the game's first boss level, that is. The game features three boss levels and they are really, really terrible. The first of these levels has you being chased by a giant statue who uses a variety of attacks to try and dispatch you. But the collision detection in Statues is flaky to say the best and incapable of handing projectiles - I found myself being killed by objects that hadn't come within a metre of me. The last level has you clambering up a series of rock ledges to confront a boss, dispatching enemies along the way. I died countless numbers of times because my character got stuck on the edge of a rock. That may sound a little like sour grapes but I found these levels so frustrating that I came close to just uninstalling the whole game. Quick! Tie her shoelaces together! Also, the game's later levels introduce enemies that don't adhere to the 'they can't move if you're watching them' mechanic which I found annoying, especially because they were mixed in with the regular statues. There are also other aggravating levels, such as the forest level which has you wandering along a forest track with a creature perusing you and, once again, Statues' dodgy collision detection comes into play, meaning you get killed for no reason at all. 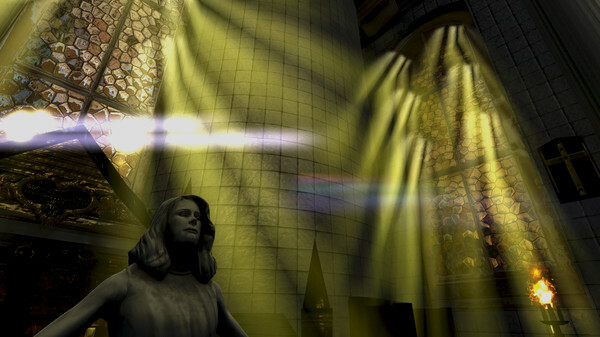 Statues is not a stellar game, but it certainly has its moments and succeeded in scaring me on several occasions. Furthermore, I suspect I'll occasionally replay some of the game's better levels, such as the Mall and the Park. Unfortunately, these levels are balanced out by other levels that are mediocre at best and infuriating at worst. I feel that it does have a lot of potential, with ideas that could be built upon to produce a successful sequel, which I'd definitely be up for playing. But as it stands, Statues is very much a mixed bag, invoking both terror and frustration in equal measure.